They say there’s no smoke without fire. Smoke can be camouflaging, smothering, or alarming. It can be acrid, fragrant, or toxic. But no matter the damage fire and smoke can cause, they have an alluring effect, just like our stories. Allow yourself to stare into the flames and let these stories engulf you in smoke—from a serial killer to a cursed vineyard, from a child predicting her teacher’s impending doom to a counselor experiencing PTSD vicariously. Feel the warmth of tales worshipping mysterious smoke pouring from a holy site, the invisibility of motherhood in the workplace, and history at work in a cigarette-smoke clouded war room. 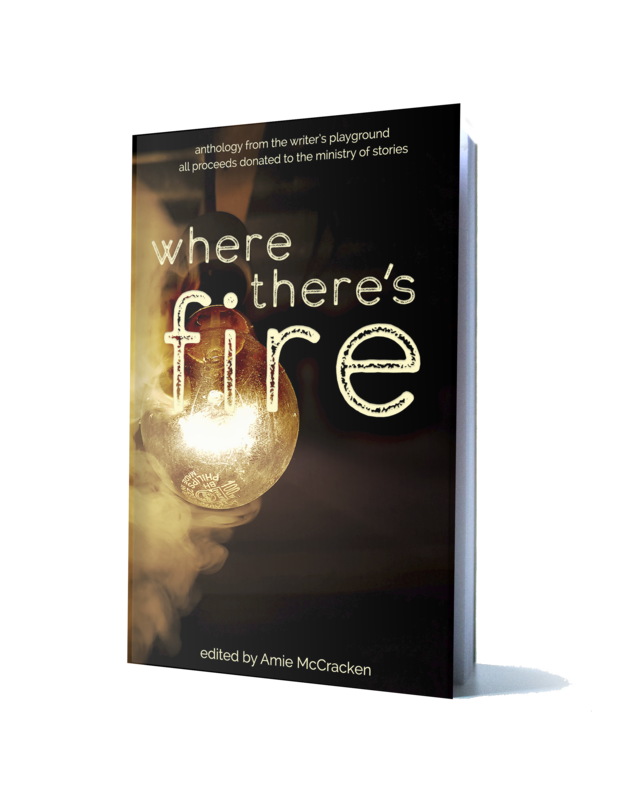 This anthology will appeal to anyone happy to lose themselves in the glow of warm embers. This collection hosts a little of everything: fantasy, science fiction, romance, contemporary. Breathe these stories in. But be warned. There’s fire in there. Writing isn’t always easy, and there are some things we could all do with to help us along the way: accountability, motivation, support, and friendship. The Writer’s Playground, from Urban Writers’ Retreat, is an online home for writers that provides just that. This anthology comes from a group of writers who spend their writing time in the playground, encouraging each other and generally procrastinating their work in a supportive way. But, as is obvious by this book in your hands, they also sit in the chair and get words on the page. All proceeds go to charity, the Ministry of Stories.